news Telstra has reportedly confirmed it has stopped actively negotiating with the NBN company to sell off its fibre network in the South Brisbane exchange area, as a lack of action by both companies on the issue continues to leave customers in the area paying exorbitant prices for poorer services compared with NBN regions. However, in October Delimiter revealed that the NBN company was instead secretly overbuilding portions of Telstra’s Fibre to the Premises network in South Brisbane with its own infrastructure. Subsequently, it was revealed that the Department of Communications had told a customer in the area that Telstra had been “unable” to reach an agreement for the infrastructure to become part of the National Broadband Network. Last week, according to The Register, Communications Day reported Telstra executives as having confirmed that negotiations between the two companies with respect to South Brisbane had been inexplicably paused until at least 2016. Delimiter does not have access to the Communications Day article, however it appears Telstra has denied the NBN company is overbuilding the infrastructure. Instead, it appears the telco stated that the NBN company was building fibre in the area to connect a greenfields site to a NBN point of interconnect. In the wake of the publication of the NBN article, NBN executive general manager of public affairs, Karina Keisler, took to Twitter to highlight what the executive said were “facts” in the Communications Day article. “[Negotiations] btwn #NBN and [Telstra] for its Sth Bris fibre not broken down, contrary to [speculation]; nor is NBN overbuilding,” wrote Keisler. Speaking last week, NBN chief executive Bill Morrow declined to say whether the NBN company and Telstra were still negotiating on the issue. I don’t have access to the original Communications Day article which The Register is discussing here, so it is possible that I have gotten my wires crossed. However, my reading of the situation (and from my own sources that I’ve spoken to since Delimiter’s original South Brisbane coverage was published) is that the NBN company and Telstra have indeed called a halt — of at least a year — to talks about the NBN company selling its South Brisbane FTTP network to Telstra. It’s not clear at this point whether this permanent or why it has occurred. This is a bad thing for the NBN company. Taking over South Brisbane would have been relatively trivial for the NBN company. However, it would have allowed the company to instantly add about 18,000 premises to its network. The NBN company has placed great stock publicly in its use of FTTN and HFC cable technologies to speed up the NBN rollout, helping customers and getting earlier revenues. Why wouldn’t it want to speed up its rollout by integrating South Brisbane as well? In addition, one suspects the NBN company would not actually need to build a whole new fibre network from its local POI to one or more greenfields estates if it already had access to Telstra’s established fibre network … which runs directly along the exact same road. What a waste of resources. This is also a bad thing for residents and businesses in South Brisbane. Telstra is currently charging extortionate rates in South Brisbane, as well as farcically forcing customers to sign up to legacy telephone lines and blocking next-generation video services on its network. Switching to the NBN would fix these kinds of issues. However, of course delaying the sale is great for Telstra. Telstra gets to continue fully sweating the South Brisbane fibre asset and using ‘soft’ techniques such as blocking value-added services to stop its local customers churning to other providers. It doesn’t have to go through a troublesome transition with the NBN company and it can continue marketing services to its customers in the region. Broadband plans in South Brisbane — on Telstra’s supposedly shiny new FTTP network — have been crappy for at least four years now. When is this situation going to be resolved? In short, just another normal day in Australia’s telecommunications landscape. The big elephants of the sector just can’t seem to get things right in a way that won’t screw ordinary Australians. And they keep on trying to treat us like mushrooms … keeping us in the dark and trying to feed us giant gloppy packages of elephant crud. “to talks about the NBN company selling its South Brisbane FTTP network to Telstra.” Are the company names not around the wrong way? How much did the QLD State Govt pay Telstra for its (South Brisbane) “exchange”. Many millions? Enough to fund the fibre installations! The wonderfull “ALL AUSTRALIAN” Telstra. At the time I divided the amount by the number of premises and they paid more per premises than it was costing NBNCo per premises. Why would Telstra sell a profitable portion of it’s network, without a gun to it’s head? Conroy had leverage (spectrum); Fifield has absolutely nothing. nbn doesn’t stand a chance if Telstra don’t sell. Had a visit to the zoo recently, Renai? I’m still doubting the “the NBN company was building fibre in the area to connect a greenfields site to a NBN point of interconnect.” claim. 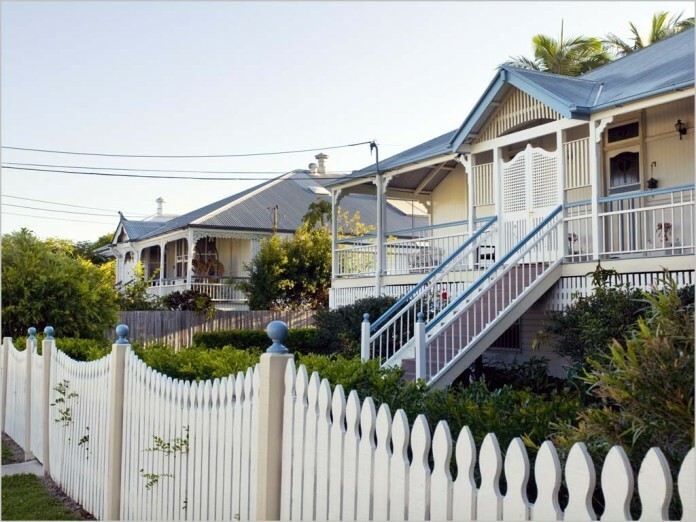 As I mentioned in the earlier article about overbuilding here, that’s a one block street, it only goes to an area full of old Queenslander buildings. No greenfields. I don’t think there’s any greenfields in that direction at all. Except the new children’s hospital, but that’s a really, really long way around to get from the Woollongabba POI.